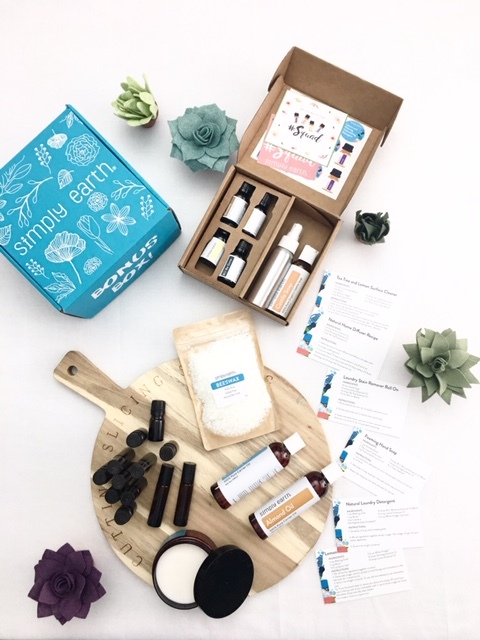 We’ve been hearing a lot about essential oils lately and since we’ve been curiously dabbling in them, we were excited for the opportunity to explore Simply Earth’s essential oil subscription service. As you may know Sonja and I are on a constant journey to create a more natural home for our families. 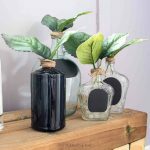 Making items from scratch such as beauty product cleansers and candles is appealing because you know exactly what goes into them. But we must admit we are a bit of essential oil newbies. Although we’ve used them in a couple of projects such as our lavender sugar scrub and peppermint salt scrub we’ve been a little hesitant to dive right in. One reason for this is just uncertainty around when and how to use different oils together. That’s one of the great things about the Simply Earth essential oils recipe boxes though. 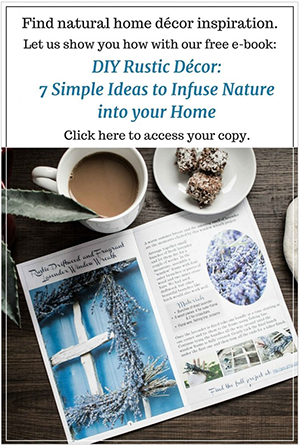 Each month you receive four different essential oils plus instructions on six different ways to use them alone and in combination. It’s like somebody holding your hand while you learn a new craft. 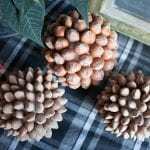 Each month the experts at Simply Earth create a recipe box around a certain theme. For April, as an example, the theme is all around Spring cleaning. So in the kit you will find recipes for a natural laundry detergent, foaming hand soap, natural home diffuser recipe, surface cleaner, dish detergent and a laundry stain remover roll on. 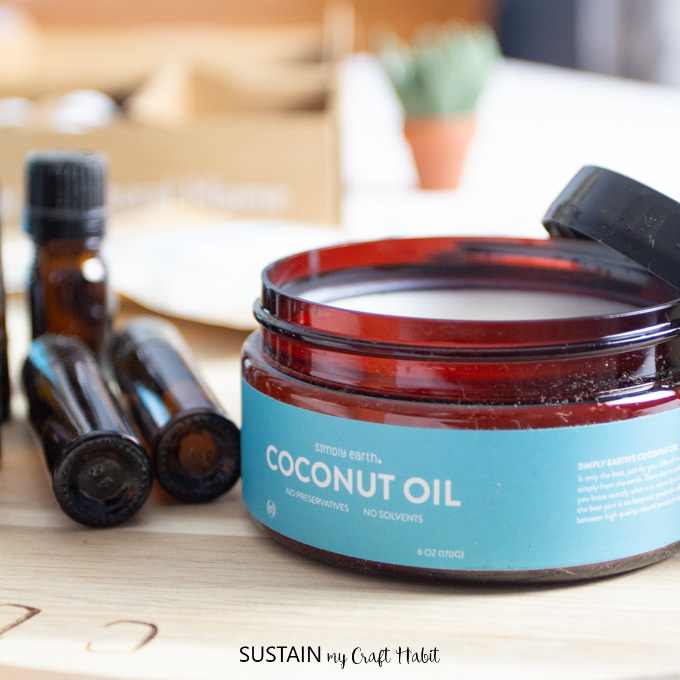 It takes all the guesswork out of which oils to use together and for what! All this comes for just $39 a month. And we’re happy to be able to offer our readers a $20 gift card that will come with your first month’s membership box with the code SMCHFREE. Use it for any future month’s recipe box. And one of the best parts is that there’s no commitment. So if there’s a certain months’ theme that doesn’t strike your fancy you can skip it and pick up the next month’s recipe box. Low price. 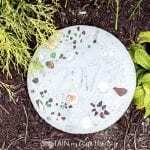 By cutting out the middleman, Simply Earth is able to keep product pricing low. Commitment to nature. Regions for growing and harvesting plants are chosen carefully and thoughtfully to ensure the best outcome for the plants possible. High quality. With Simply Earth’s commitment to quality, each batch is tested to ensure 100% purity and they even offer a 365 day money back guarantee. Generous. With 13% of all profits going towards the fight to end human trafficking. And lastly, the ladies behind the brand are just plain sweet. We were so excited to crack into our recipe box and bonus box for April. 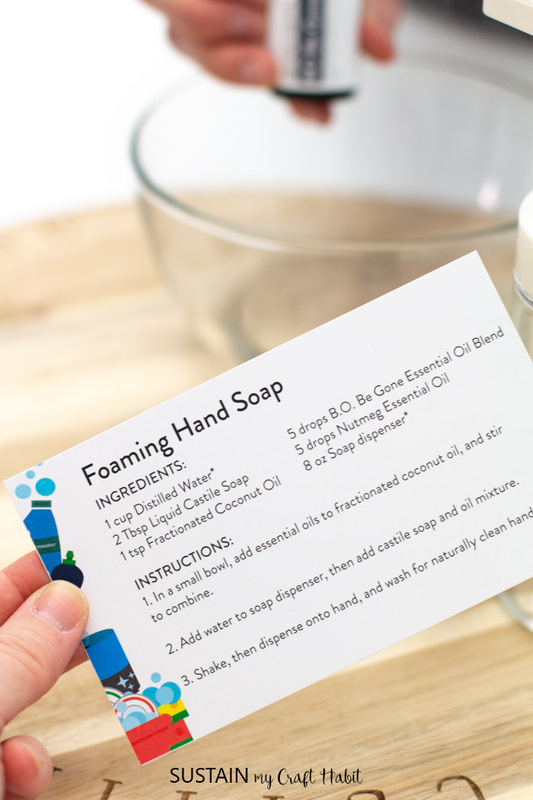 Right away we jumped into making one of the six recipes: the foaming hand soap. 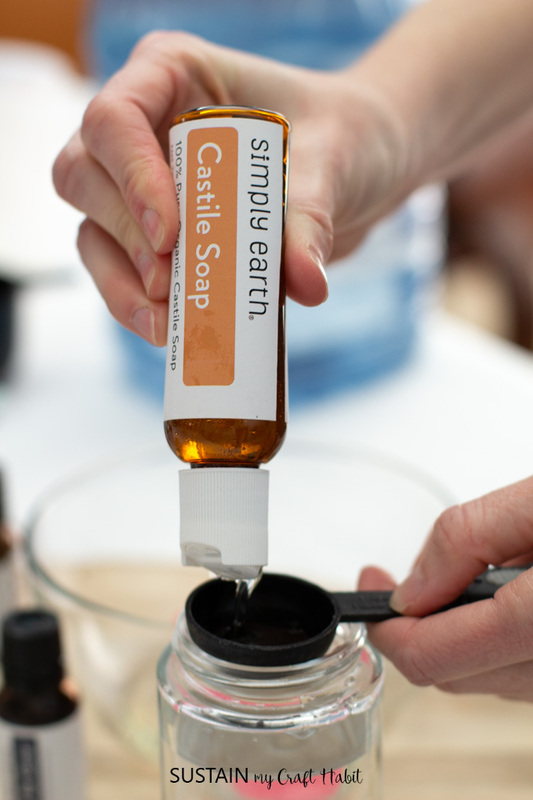 Even with a house full of kids running around, we were able to create this lovely all-natural hand soap. 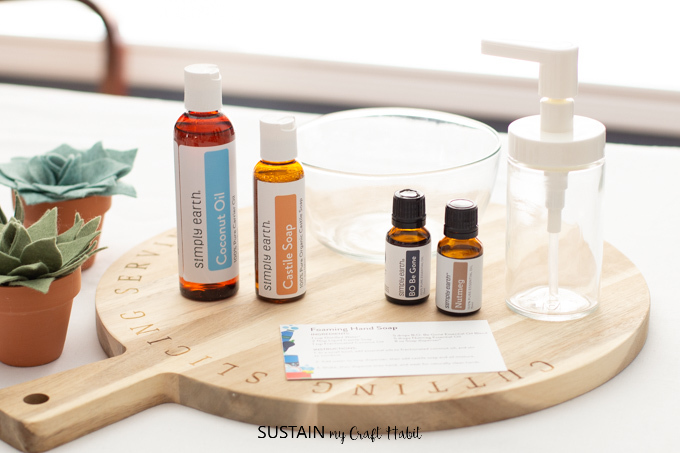 So if you’re also curious to start using essential oils in your home, we encourage you to give Simply Earth a try. Be sure to use the code SMCHFREE to receive a $20 eGift card with your 1st Recipe Box! You also get a Bonus Box when you subscribe today. 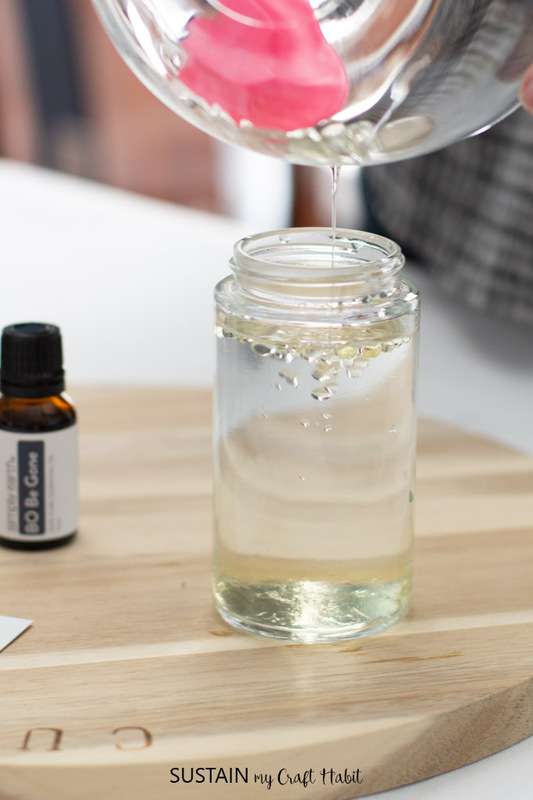 Which one of the Spring cleaning themed essential oil projects would you like to make first?